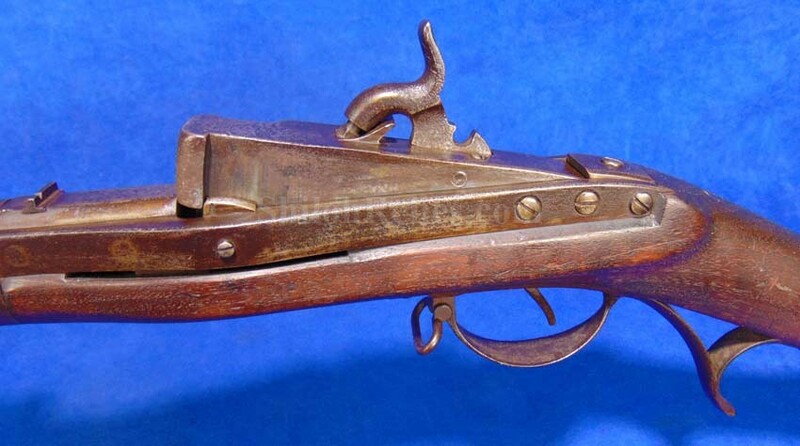 This is one of the most intriguing guns ever made. 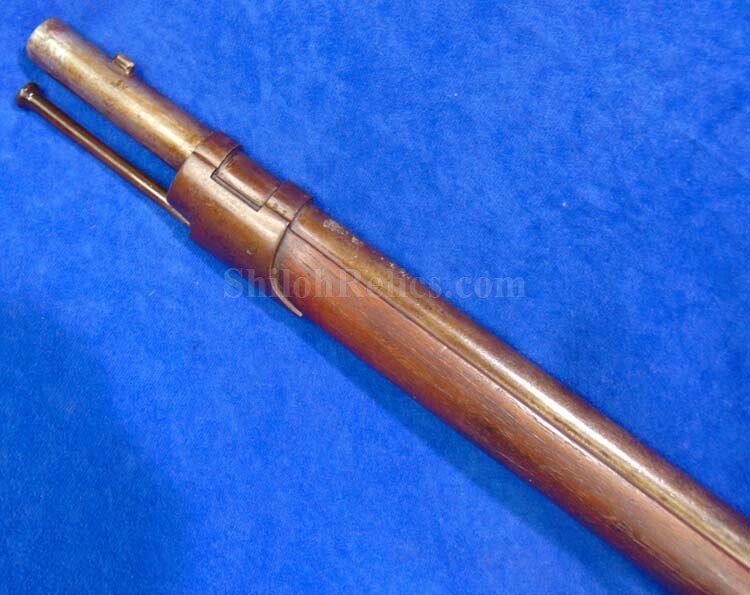 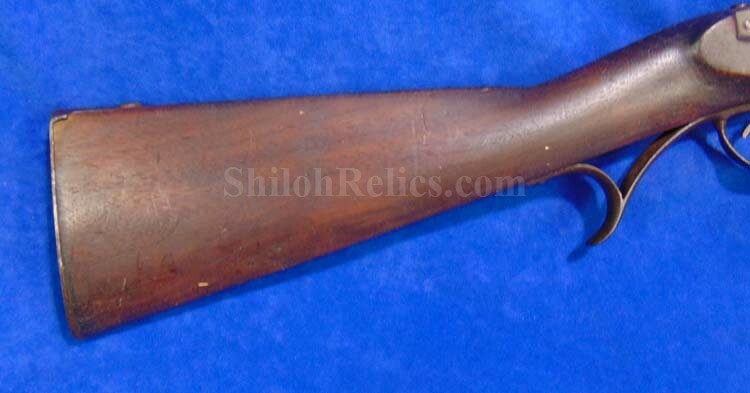 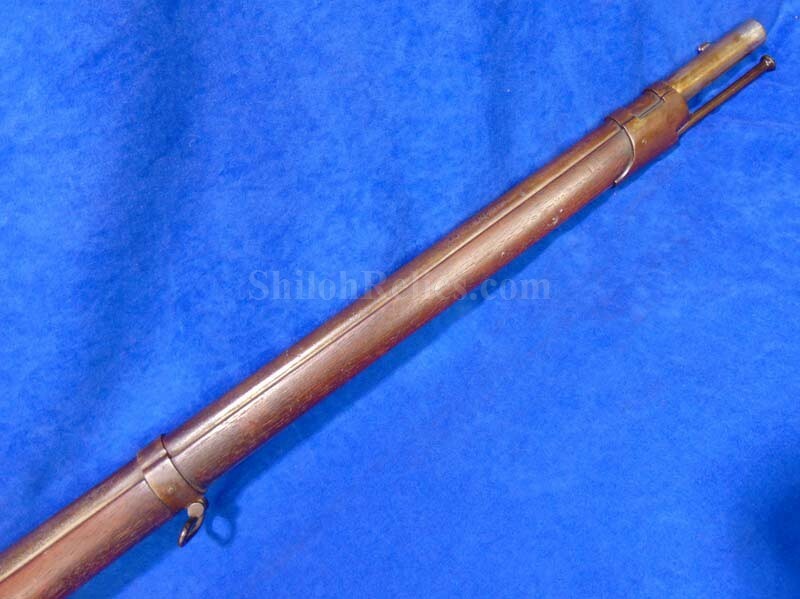 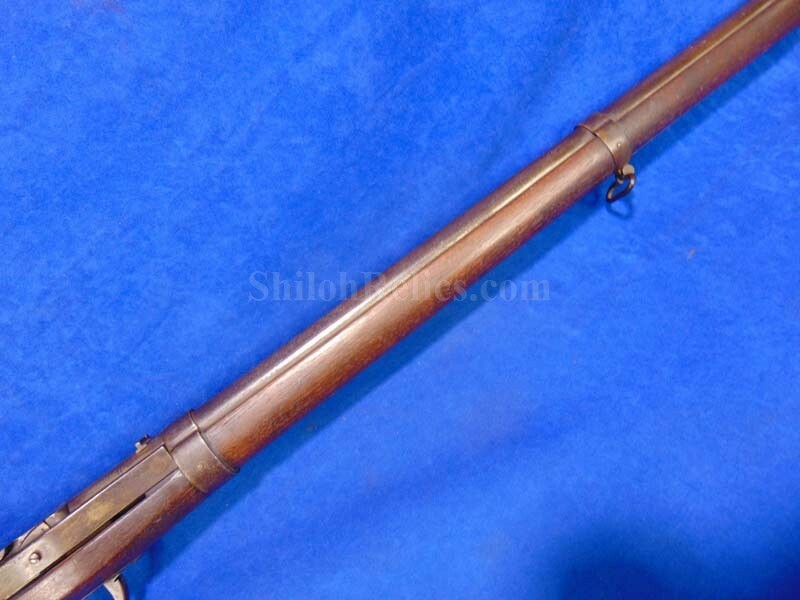 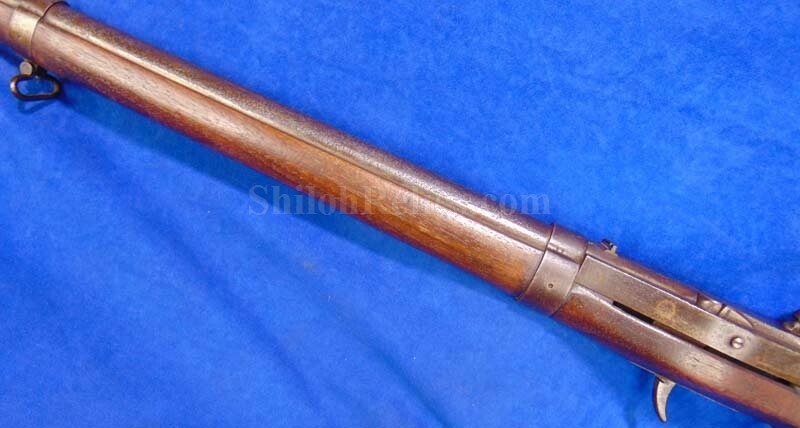 It is a fine looking 2nd production type model 1819 Hall military rifle. 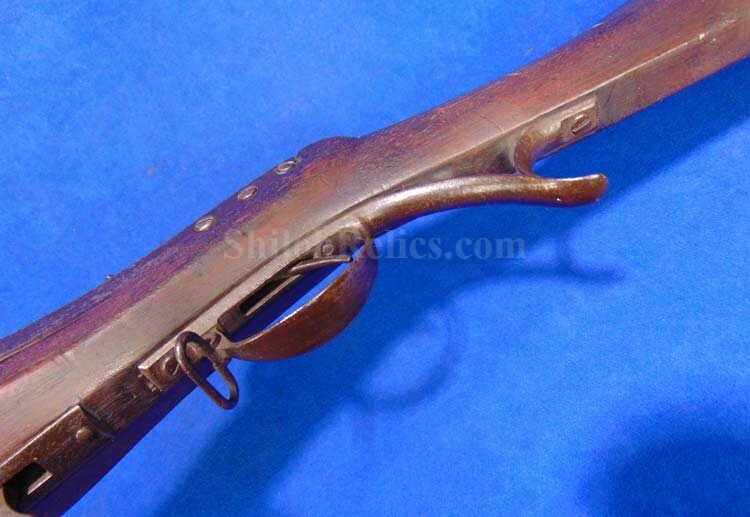 The 2nd types were made from 1826 to 1838 production for this type. 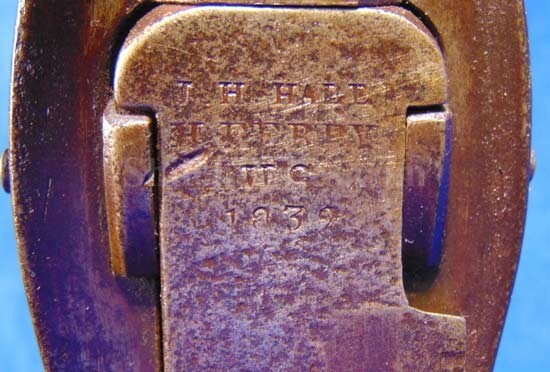 It has the maker’s mark from the Harpers Ferry arsenal still visible as well as the 1832 production date and "J.H.HALL” stamp on the top of the block. 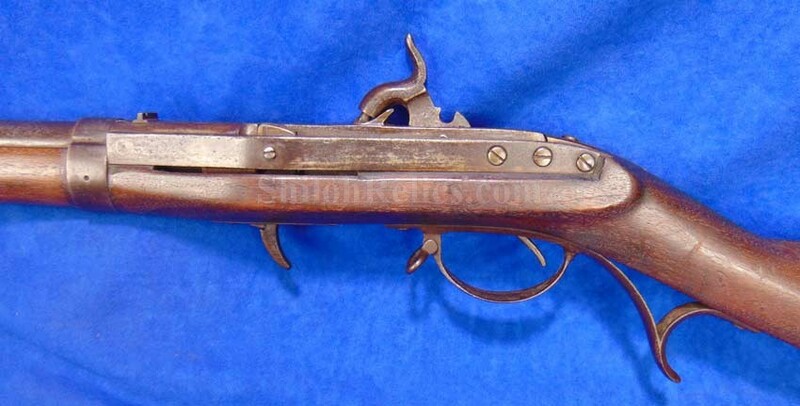 These guns have the lever underneath the stock that raises the block when you pull the lever back. 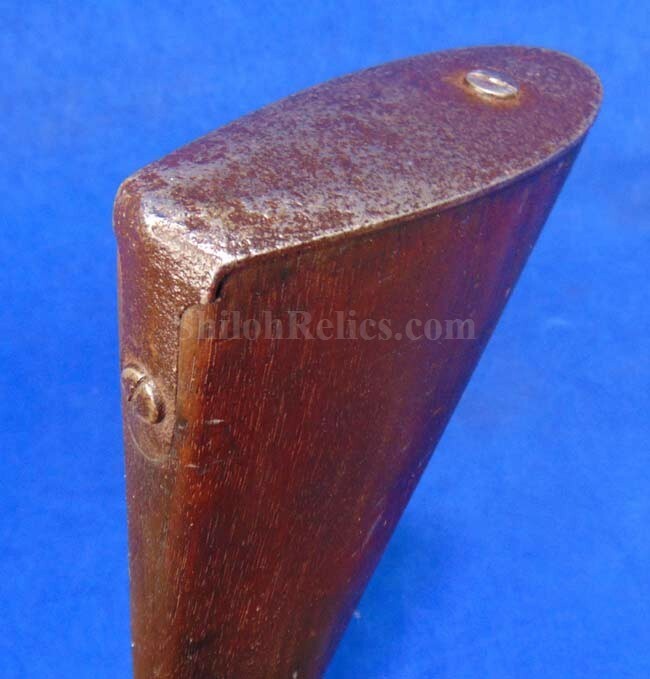 When you raise the block up to see that the sides of the block still retains a trace amount of the original factory bluing in the protected areas. 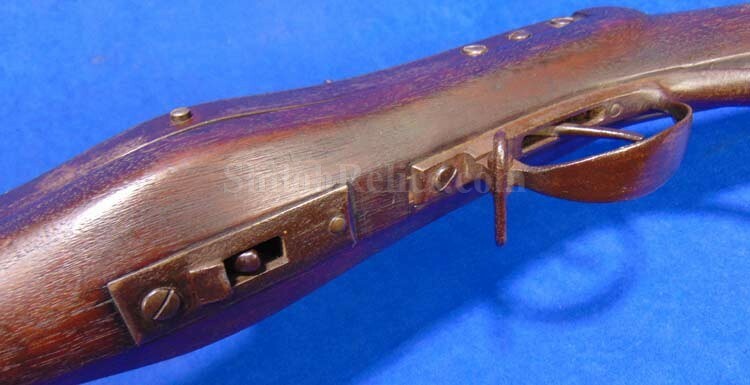 This gun is in a nice percussion state and the action works on both positions. 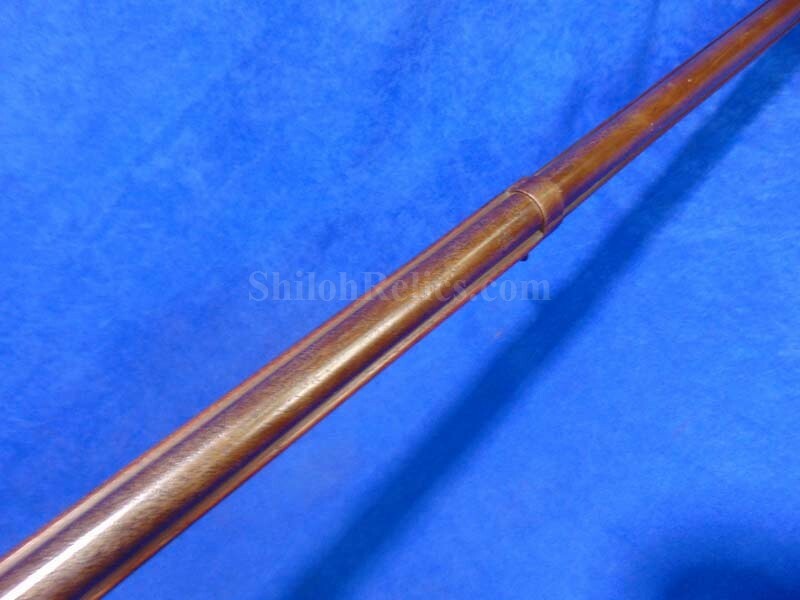 The .52 caliber rifling of the barrel is fine with the distinctive tight lands and groove bore. 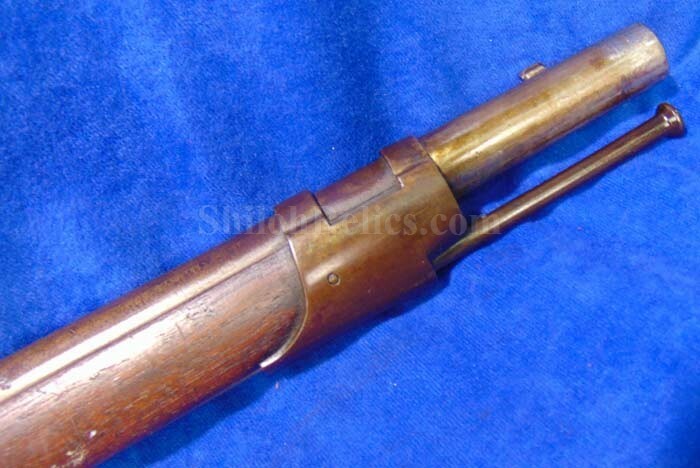 On the outside of the barrel it has a very pleasing untouched look. 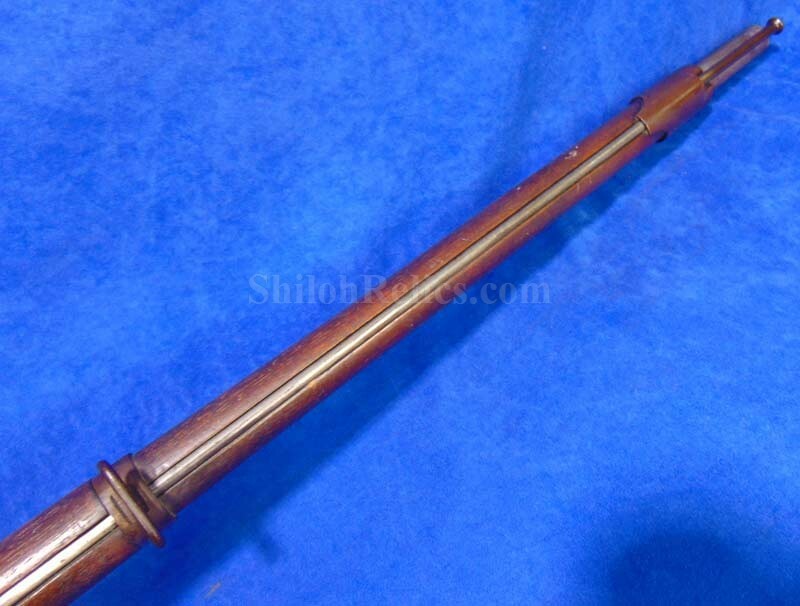 The stock has a very attractive dark tone all over to the walnut wood. 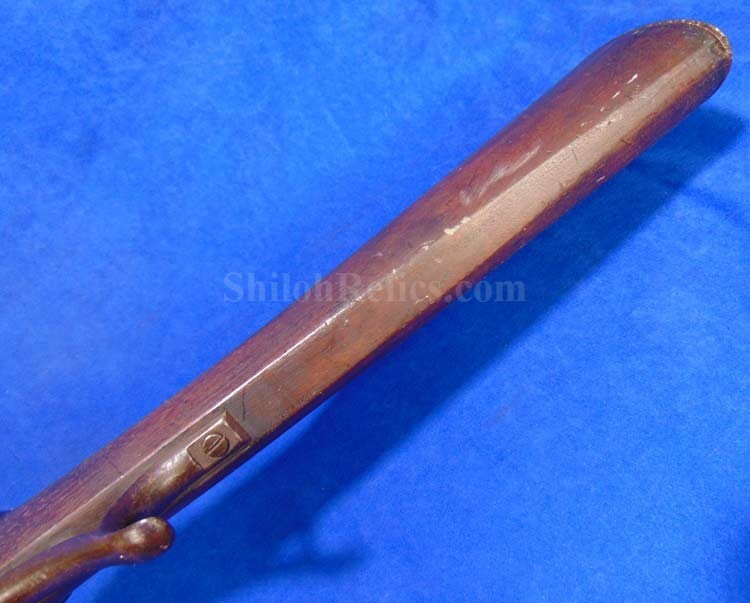 It has the usual hairline crack to the shoulders of the stock behind the frame like most of the ones you encounter have. 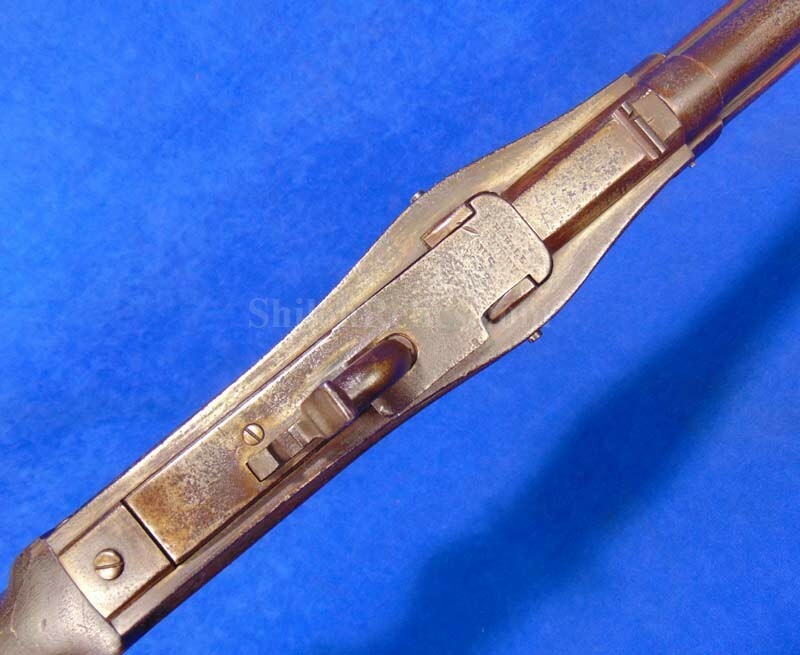 It has both of the original sling swivels present and they still pivot. 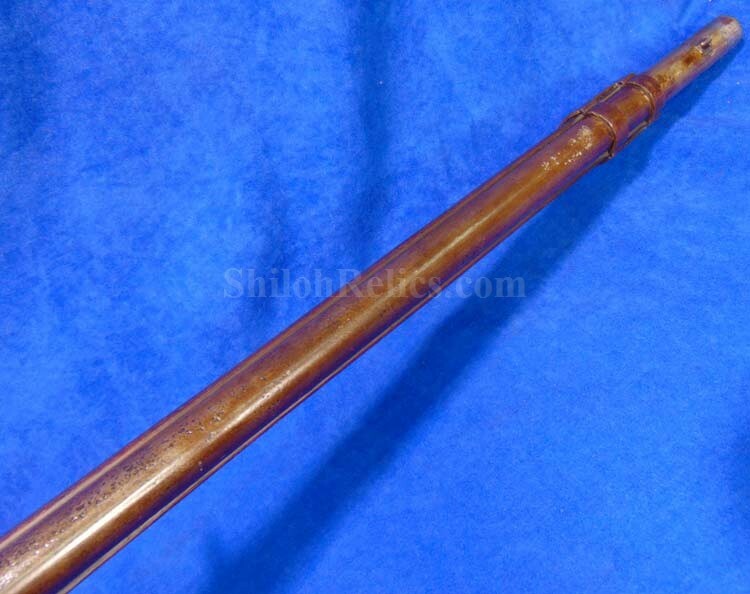 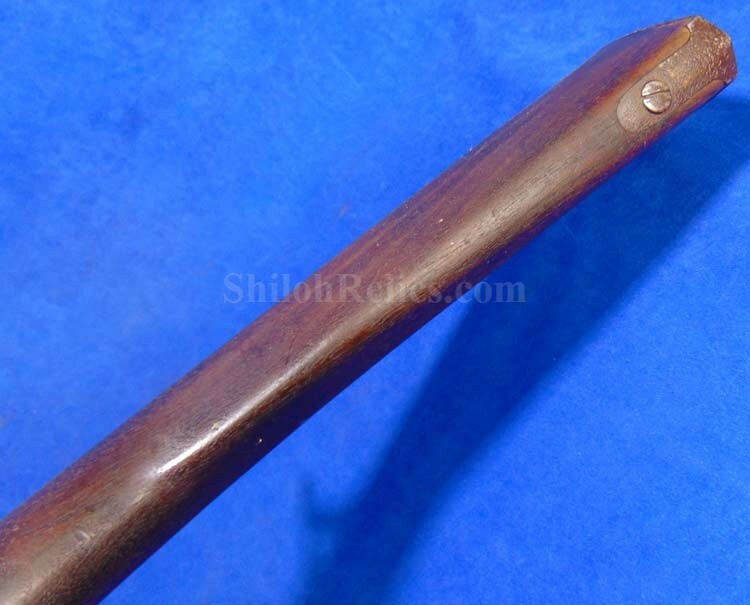 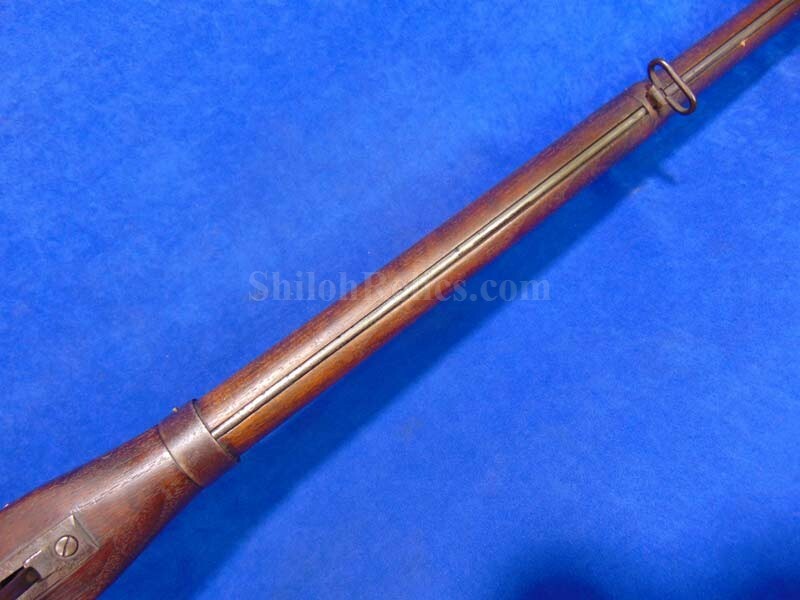 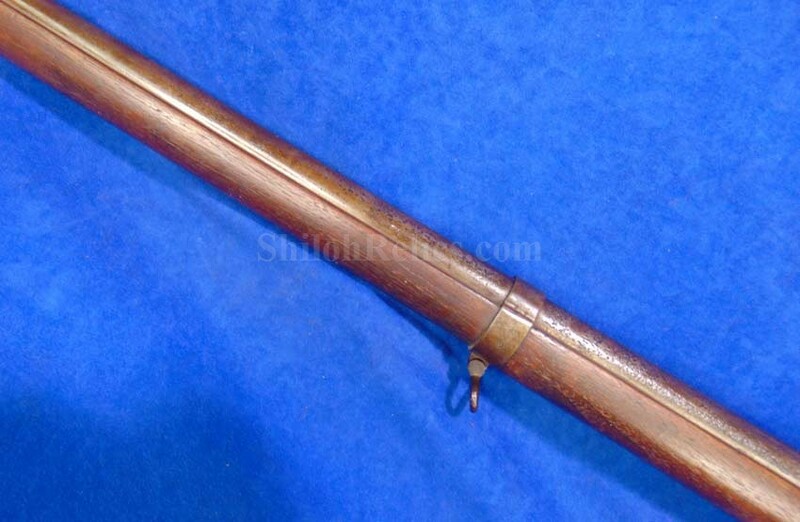 In the channel underneath the barrel is a replacement ramrod of the correct style. 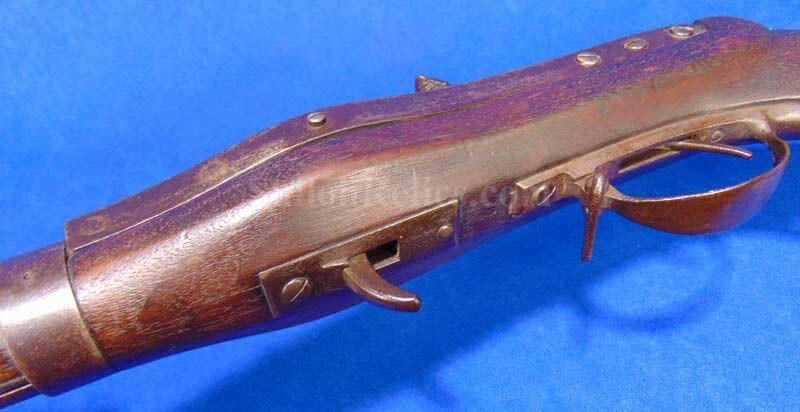 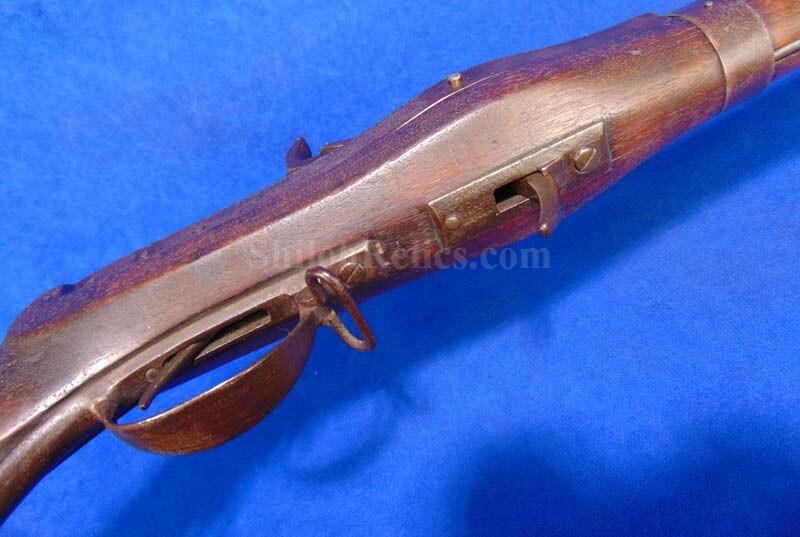 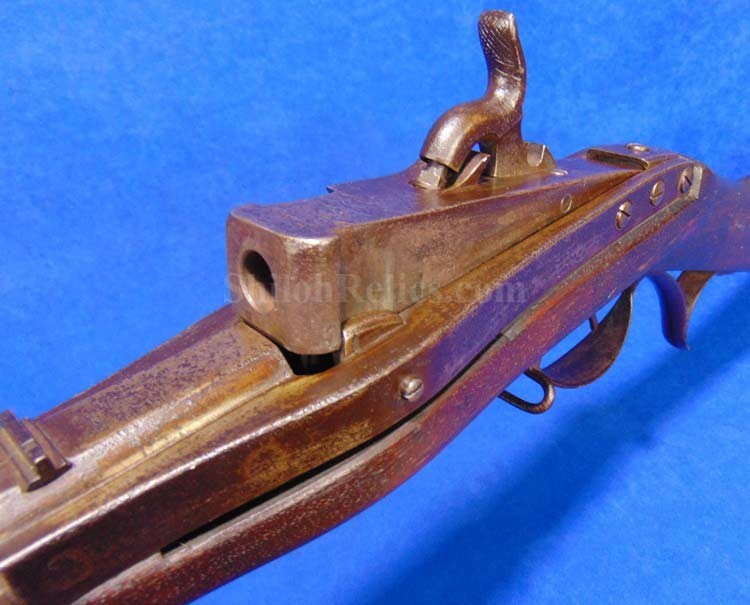 This is a very attractive looking 1832 dated Harpers Ferry Hall Rifle of the 2nd type.